Looking for a great one-bedroom apartment in Nashville that is pet-friendly to rent? 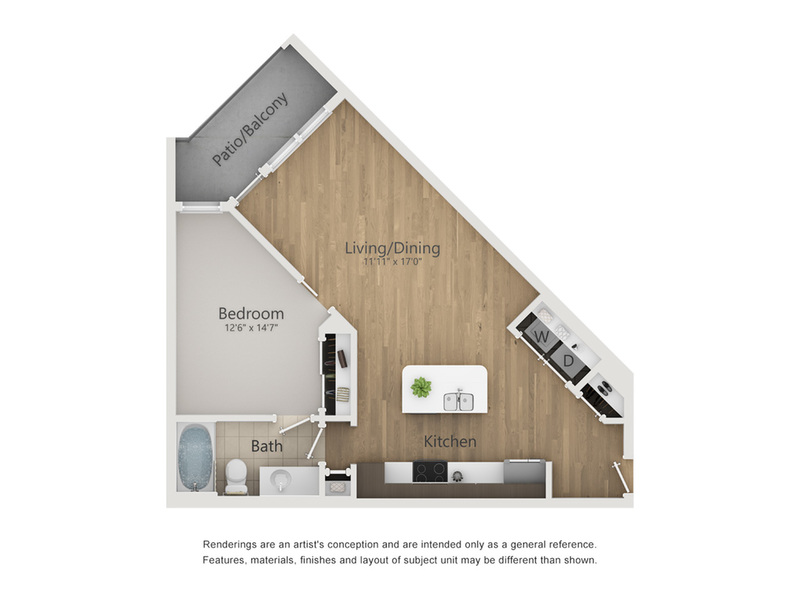 Our one-bedroom Esquire apartment is the perfect place to call home. With 718 square feet of living space and generous onsite amenities the Melrose Apartments has everything you’re looking for. Our flexible pet policy allows you and two furry-friends to settle into our community style residence. When you day dream about home, what do you see? Open concept floor plans, and granite counter tops? Solid wood cabinetry with designer hardware? Upgraded lighting and stainless-steel appliances? Then come home to the Melrose Apartments. Our one-bedroom units have high-design elements that add convenience, and comfort to luxury. The Melrose has a salt water pool and sundeck with three lighted courtyards, including grills extending that luxury to the outdoor living areas. With our 24-hour fitness center, complete with three weekly fitness classes lead by a certified City Fit Concierge Instructor, you’ll always have time to work out. The Melrose Apartments are in a vibrant, historic neighborhood of Nashville. Gourmet restaurants mix with favorite bars. Providing great night-life options, with local beer, food, and most important for Nashville, music! Onsite dinning includes Sinema, the Sutler Saloon, and Fenwick’s 300. Outstanding shopping, and retailers are just steps away from your door too. If you’re looking for that perfect one-bedroom apartment, it’s time to call the Melrose Apartments at (615) 696-7448. The Esquire unit is move-in ready, and available through the convenient tenant online portal. Apply for a one-bedroom apartment, pay rent, request maintenance all in one place.